Hydrates, repairs, detangles & protects hair from chlorine, sweat & salt. Lightweight for daily use and sulfate-free. Gently removes chlorine, sweat & salt while restoring your skin. Sulfate-free with light citrus scent. But your hair & skin shouldn't look like you do. 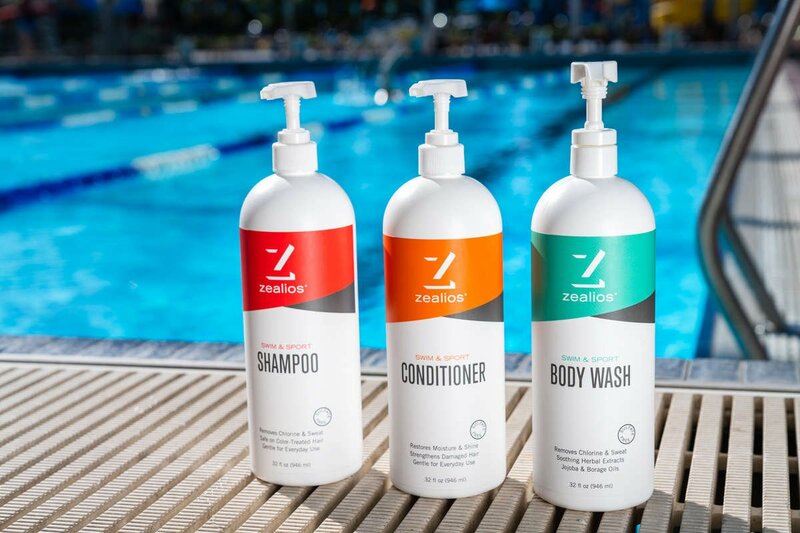 32oz Shampoo, Conditioner & Body Wash. Sulfate-free and formulated to gently remove chlorine, sweat & salt. Durable pumps are perfect for the shower and pool. Fill up your Travel Pack bottles to take to gym or suitcase.